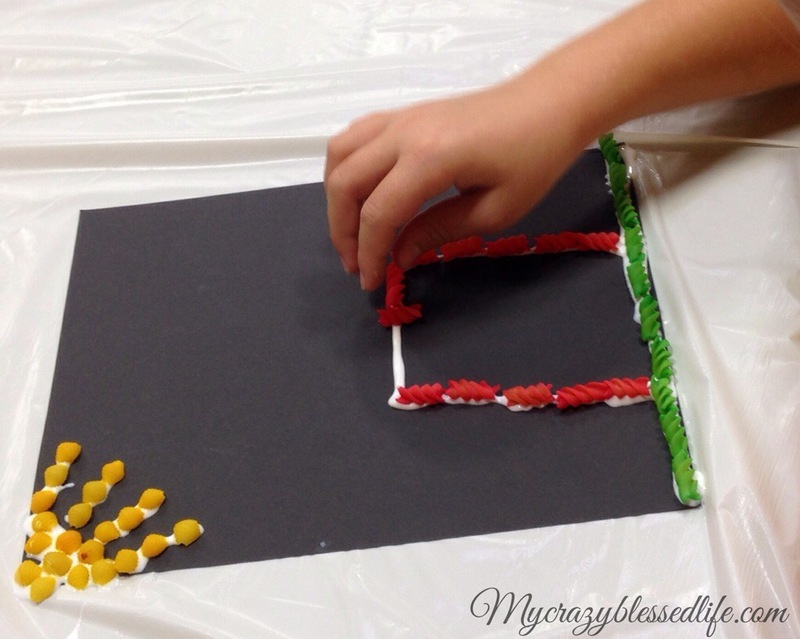 DIY Bright Pasta For Art | My Crazy Blessed Life! First put some pasta in the bag and then about 5 drops of coloring for each cup of dried pasta. Then add about a half a teaspoon of rubbing alcohol. Close up the bag and shake until all of the pasta is colored. 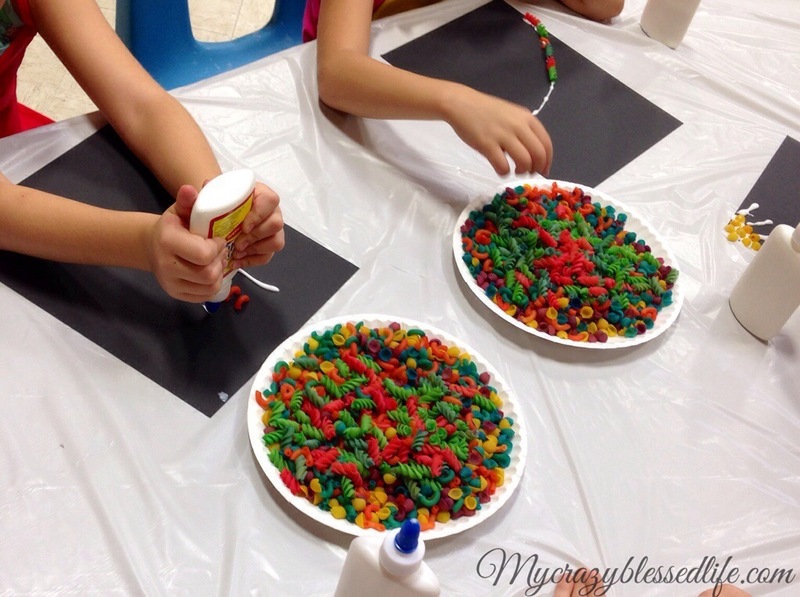 Pour colored pasta out onto paper towels to dry. 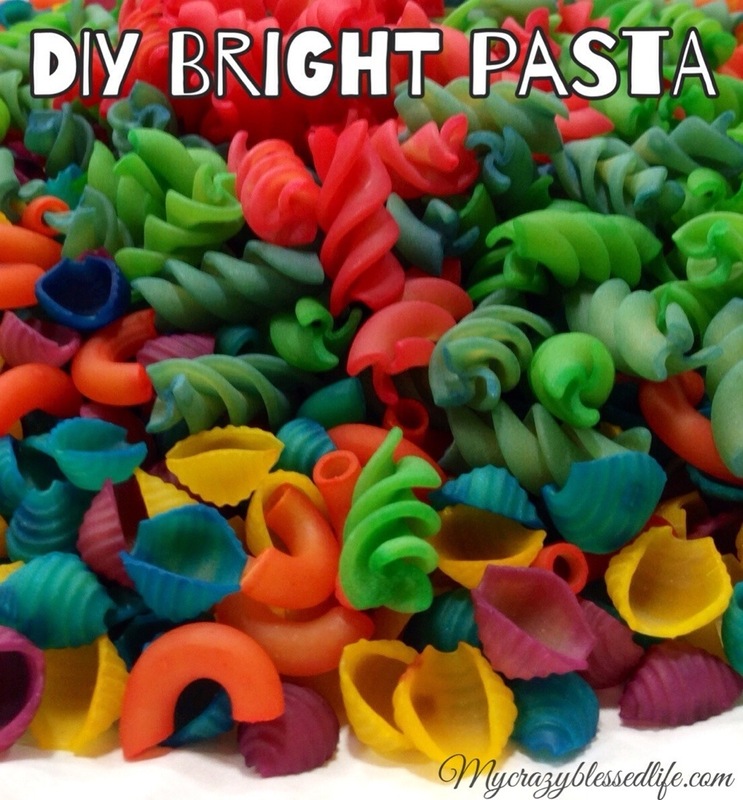 Once dry there are lots of things you can do with your bright pasta! Use it to glue onto paper and make pictures. Please Share this post with your friends for me! I'm a homeschool mother of two adorable girls only 11 months apart, and a sweet little boy. I love with being their mommy. My husband is a camp manager. I am passionate about being a stay-at-home mother and homemaker, its such an exciting, exhausting and rewarding job! That’s an amazing idea. Thanks for sharing!